Home / Uncategories / FG Declares Friday, Monday Public Holiday For The Celebration Of Id-El- Fitri. FG Declares Friday, Monday Public Holiday For The Celebration Of Id-El- Fitri. The Federal Government has declared Friday, 15 and Monday, 18 as public holidays to celebrate the 2018 Id-el Fitr. The Minister of Interior, Lt Gen. Abdulrahman Dambazau, (rtd), who made the declaration on behalf of the Federal Government, congratulated the Muslim faithful on a successful completion of the Ramadan and enjoined all Nigerians to use the occasion of the celebration to pray for the peace, unity, prosperity and stability of the nation. 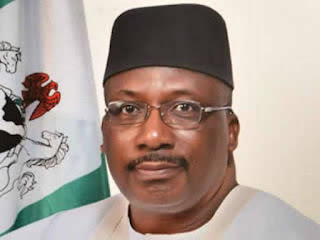 Dambazau said government desired that all Nigerians be inspired by the virtues gained during the Holy Month of Ramadan to live a life of sacrifice, charity and love for one another. According to a statement issued by the Permanent Secretary, Dr. Umar, the minister encouraged all Nigerians to join hands with the government of President Muhammadu Buhari in taking the nation to greater heights.